didacta Education Ambassadors are people and institutions that have demonstrated a high level of commitment to education, children and young people. LitCam is a nonprofit organisation advocating educational equality and integration. LitCam aims to transmit the importance of basic education to a broader public and to run own projects like “Football meets Culture” supporting the language and social skills of the participants opening up competences for their lives. 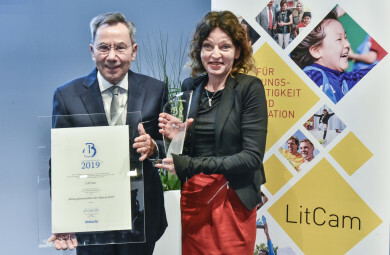 In 2019 LitCam was awarded the title of didacta Education Ambassador. The 2018 Education Ambassador award recognises the pioneering children’s aid projects implemented by the Herzenssache campaign and its patron Hartmut Engler. These projects aim to alleviate child poverty, improve self-confidence among children and young people, and provide better education opportunities. The initiative conducts pioneering work in numerous projects that are paving the way for similar initiatives throughout Germany and closing gaps in society. 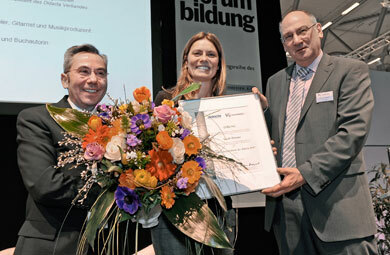 In 2017, the Robert Bosch Stiftung was awarded the title of didacta Education Ambassador for its many years of sustained commitment to school quality development and its innovative ideas for professionalising educational specialists, as well as for its many contributions to the further development of the education system in Germany. 2016 - Dunya Hayali and Arsch Huh e.V. 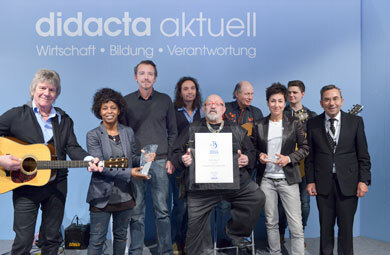 In 2016, the Didacta Association recognised the important work of journalist and TV presenter Dunja Hayali and the Cologne-based society Arsch Huh. Dunja Havali has shown long-standing public opposition to racism, xenophobia and anti-Semitism and supports the organisation “Gesicht Zeigen!” (show your face!). Since its foundation in 1992, Arsch Huh has spoken out against neo-Nazis, racism and exclusion and runs numerous campaigns denouncing right-wing violence in the form of projects, initiatives, concerts and rallies. Both actors were named didacta Education Ambassadors in 2016. With his foundation skate-aid, Titus Dittmann supports projects to help children and young people living in areas of crisis and social deprivation. In 2014, the children’s TV channel KiKa (owned by ARD and ZDF) shone a spotlight on children's rights in an attempt to highlight the disadvantaged position of children in society. It developed a variety of programmes and campaigns under the slogan “Respekt für meine Rechte” (respect for my rights). The Didacta Association honoured this work with its 2015 Education Ambassador awards. Christoph Metzeder’s foundation promotes the most valuable “raw material” in our society: education. His commitment focuses on, for example, child and youth work institutions that offer homework supervision and individual learning assistance. These projects aim to ensure that children remain in the school system. 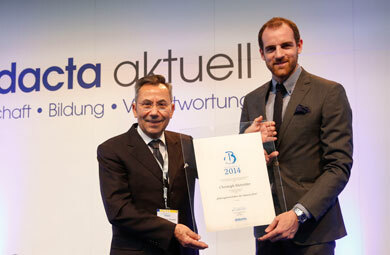 Christoph Metzelder was named the 2014 didacta Education Ambassador. Uwe Hück is the chairman of FSV Buckenberg, a sports club in Pforzheim. This city’s Buckenberg/Haidach district is home to many emigrants and migrants, and Hück is committed to helping the many young people living here who feel disadvantaged. By offering Thai boxing lessons, he shows these young people how to manage aggression and provides and outlet for their energy. He teaches values such as fair play, tolerance and respect. The initiative has been a huge success: Hück claims that juvenile delinquency in the former problem area has decreased significantly – and his voluntary commitment has certainly played a role. 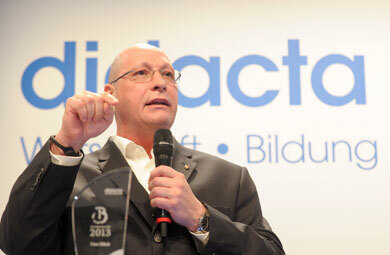 He was named 2013 didacta Education Ambassador. In March 2010, during investigations into the major abuse scandals at the Odenwaldschule and the Canisius Kolleg prep school, Dr Christine Bergmann was appointed by the Federal Government as the first Independent Commissioner for the Inquiry into child sexual abuse. 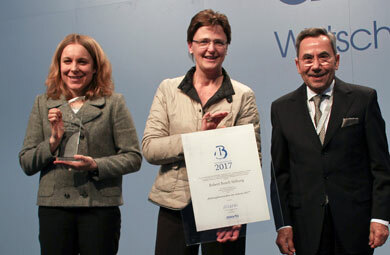 The Didacta Association honoured her extraordinary work to combat child abuse with the title of 2012 didacta Educational Ambassador. The socially critical rapper Samy Deluxe is a member of the “Crossover” association, which aims to promote integration through, for example, music workshops that bring together children and young people from different social and cultural backgrounds. The Deutsche Telekom Stiftung is involved in numerous projects, including the early learning initiative “Natur-Wissen schaffen” that supports the acquisition of skills in STEM subjects at day care centres. 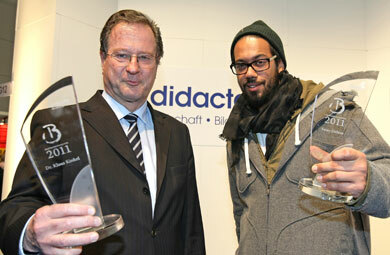 In 2011, Samy Deluxe and the Deutsche Telekom Stiftung were named didacta Education Ambassadors. With her foundation, Sarah Wiener has set up cooking and nutrition courses at many schools and day care centres to promote healthy eating from an early age. Peter Maffay and his foundation support children in need by providing extracurricular and educational projects. 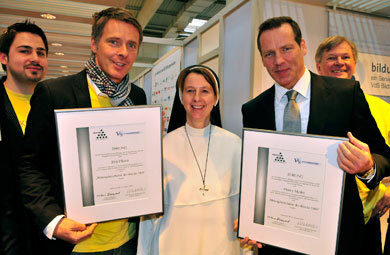 Their work was honoured in 2010 with didacta Education Ambassador awards. Henry Maske and his “A Place for Kids” foundation support disadvantaged young people by implementing numerous projects and measures to prepare them for careers and prevent violence. 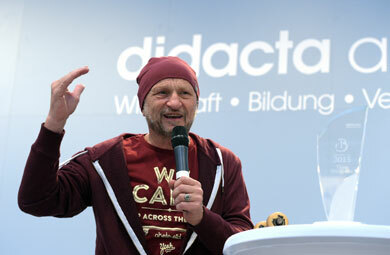 Jörg Pilawa is patron of the “EchteKinderRechte” (real children’s rights) project. 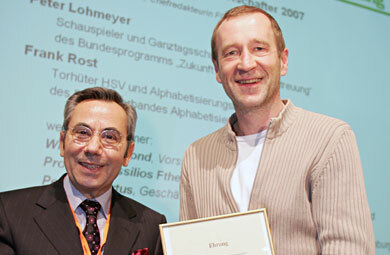 Henry Maske and Jörg Pilawa were the 2009 didacta Education Ambassadors. The Bertelsmann Stiftung launches regular studies and campaigns to raise awareness of the areas in need of improvement in the German education system. In 2008, Daimler AG set up a pre-school development program unique within Germany that set new standards in early childhood care and education, as well as in making family life and career more compatible. Michael Stich is the founder and chairman of his foundation and is committed to raising awareness in schools about HIV and AIDS. These three actors were all named didacta Education Ambassadors in 2008. 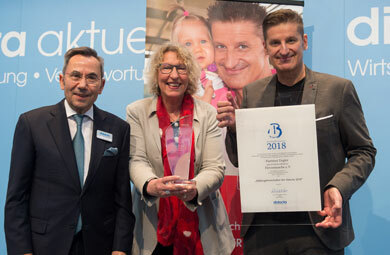 Peter Lohmeyer was an ambassador for the investment programme “Zukunft Bildung und Betreuung” (A Future for Education and Care, IZBB) for all-day schools. 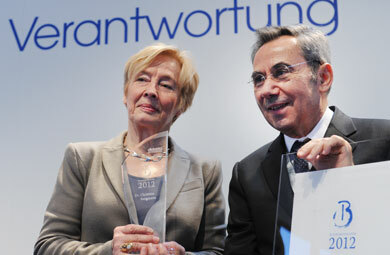 Frank Rost supported initiatives for the diagnosis and prevention of “secondary illiteracy”. 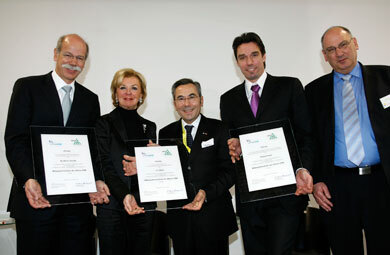 In 2007, they were the first to be awarded the title of Education Ambassadors by the Didacta Association and the Verband Bildungsmedien.